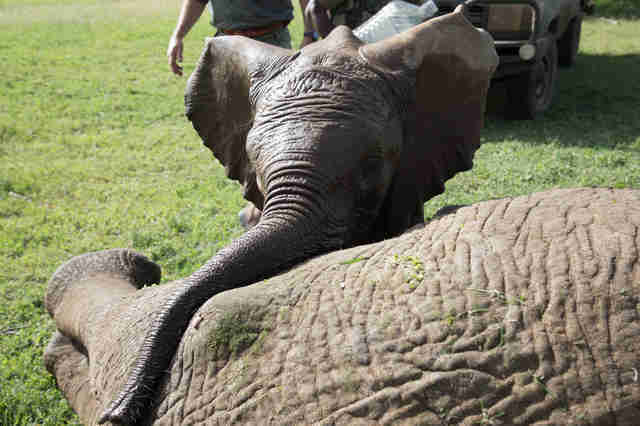 This wild baby elephant refused to leave his injured friend’s side — no matter what. 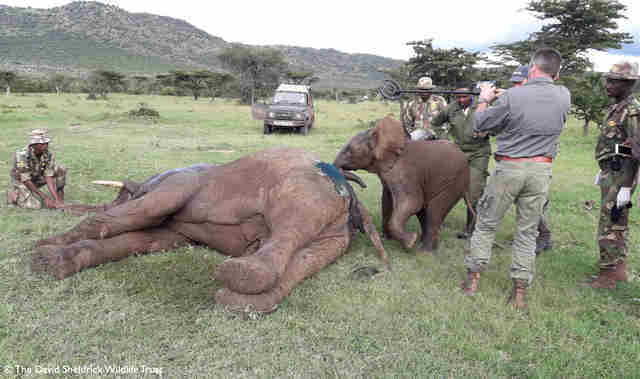 Earlier this week, rangers patrolling the Maasai Mara National Reserve in Kenya spotted five elephants who’d been wounded by arrows. 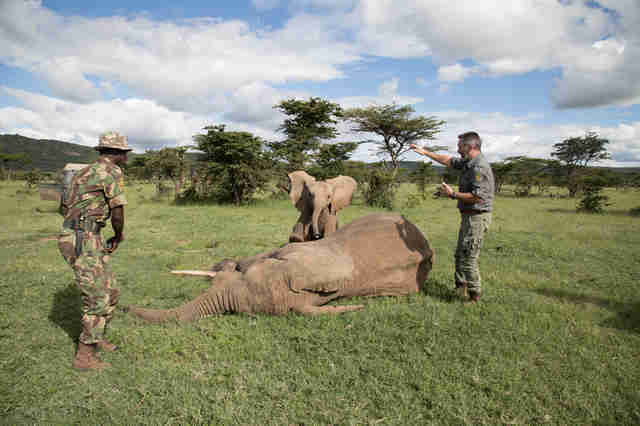 When the rangers gathered information from nearby communities, they learned what had happened — local farmers had shot the elephants after the herd ate some of their crops. 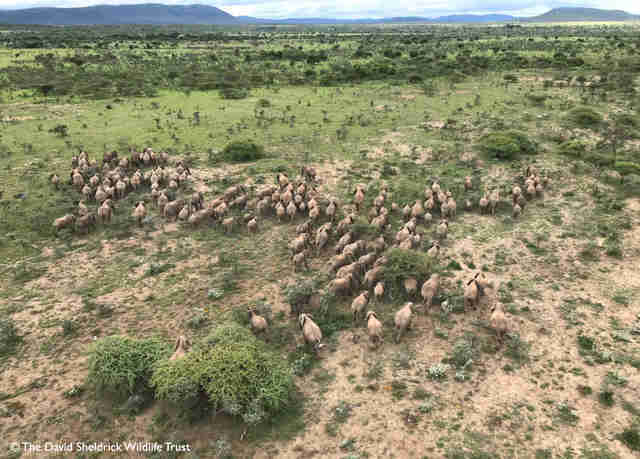 The rangers, who were from Olarro Conservancy, immediately got in touch with the Kenya Wildlife Service (KWS) and Mara Elephant Project (MEP), who, in turn, got in touch with the David Sheldrick Wildlife Trust (DSWT). Then everyone worked together to get a mobile veterinary team to fly out and treat the elephants. 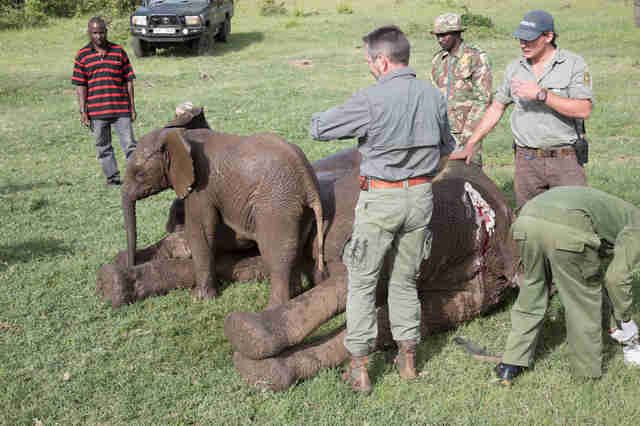 Before the team could help the injured elephants, they had to dart the animals with sedatives — and this had to be done by helicopter. When the team darted the first bull, the bull veered away from the herd, along with an older elephant and a baby. 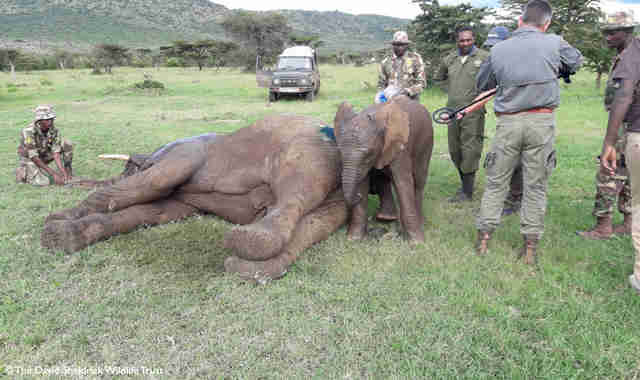 This calf, who was about 18 months old, stayed close to the sedated elephant, who may have been the calf’s brother, although this couldn’t be confirmed. The calf’s mother wasn’t anywhere to be seen. Being surrounded by humans was probably scary for the baby elephant, especially since it had been humans who injured his friend in the first place. But nothing deterred him from remaining by the bull’s side. While no one will ever know what the baby elephant was thinking, Sheldrick suspects he knew the vet team was helping his friend. Yet the baby elephant remained calm and attentive throughout the ordeal, despite there being multiple people and vehicles driving in and out of the area, according to Sheldrick. 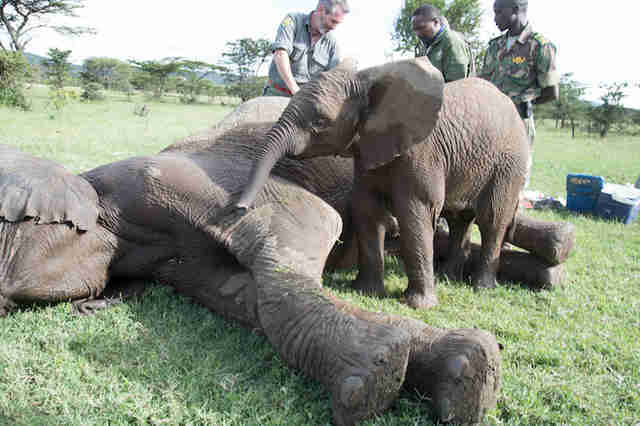 The vet team worked for two days to help the five injured elephants. Thankfully, none of their wounds were life-threatening, and the elephants were able to fully recover and rejoin their herd. 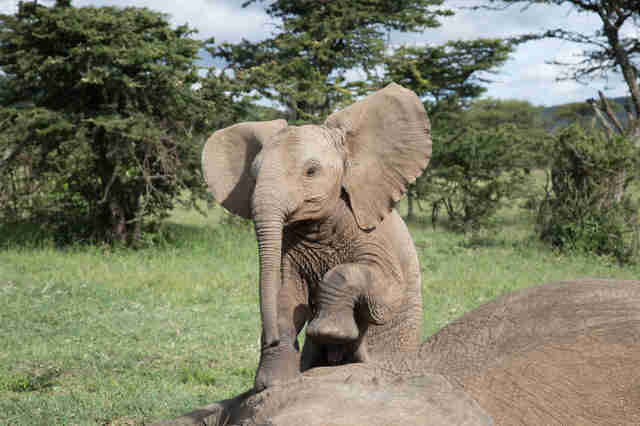 To help rescue and rehabilitate more wild elephants like these, you can make a donation to DSWT.